Europe is again at a crossroad. 2019 will bring the first secession from the Union, while economy, immigration, and social welfare remain high on the agenda. 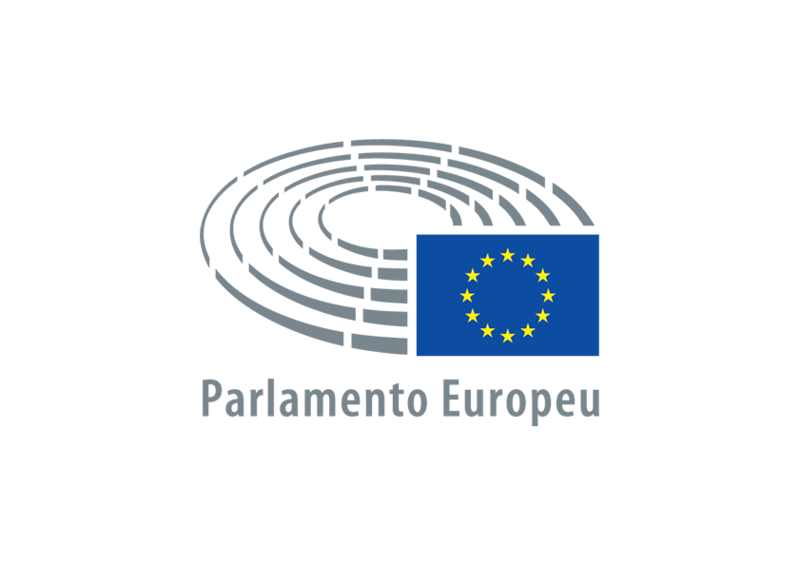 The European Parliament elections provide an important measuring point, although the Commission and its program is still formed by the national governments. What will Europe look like in five years? 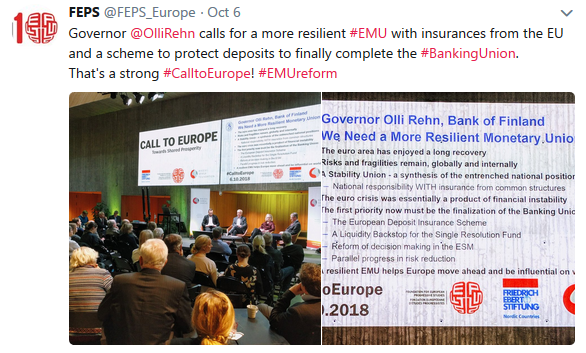 How will the monetary union develop? 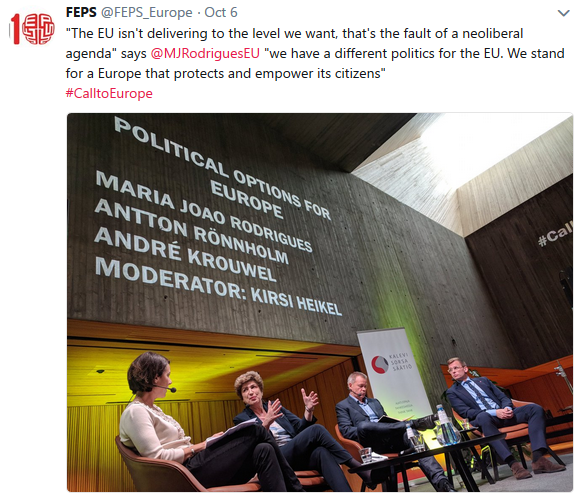 What is the future of social Europe? Is the direction towards tighter federation or looser union of nations? 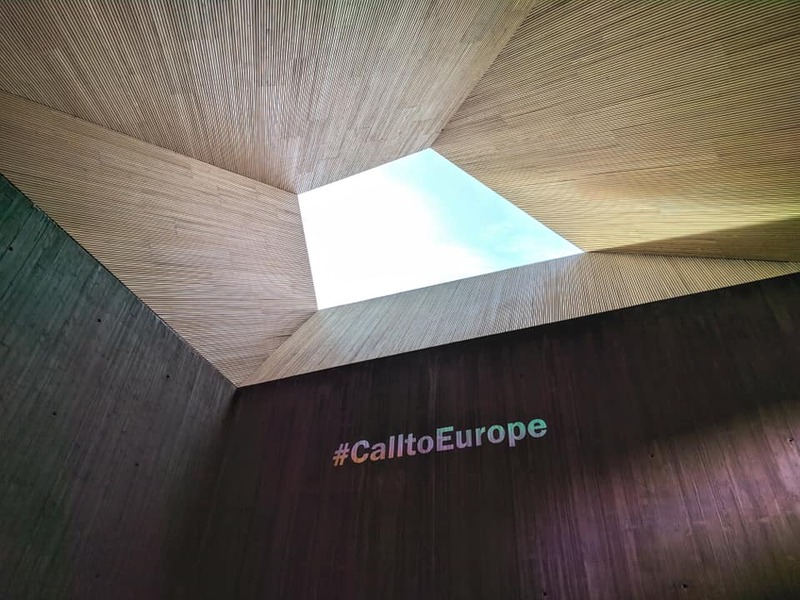 These and other Europe-related topics were discussed by academics, politicians and the civil society in Call to Europe -seminar in Helsinki. 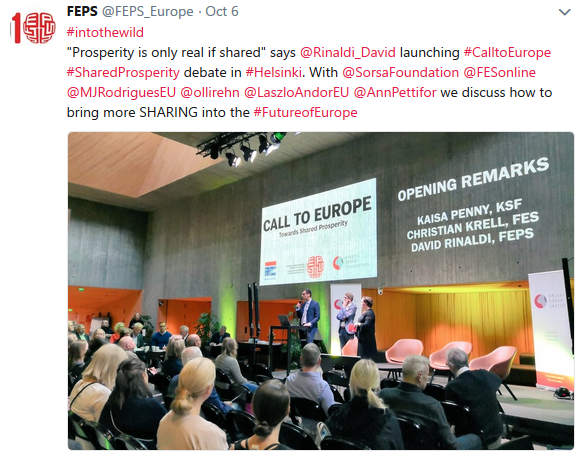 The event took place in Tiedekulma on the 6th of October. 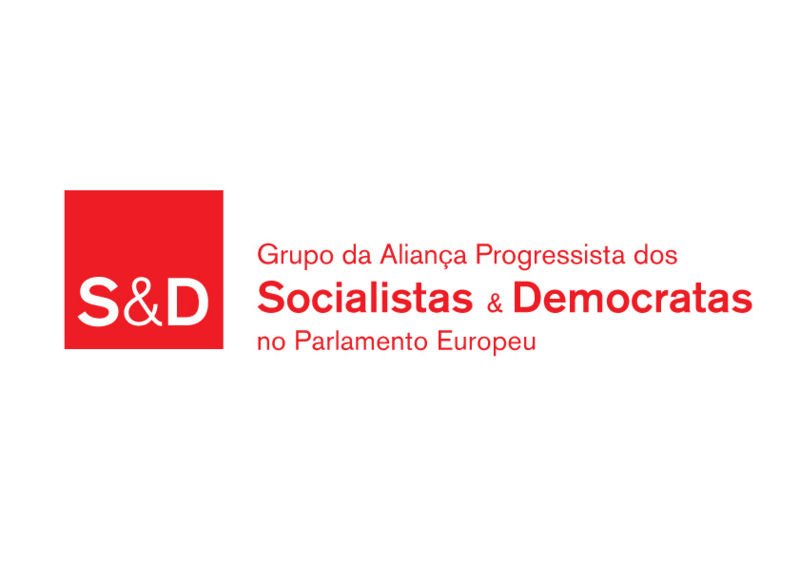 Organizers were Kalevi Sorsa Foundation, Friedrich Ebert Foundation, and Foundation for European Progressive Studies FEPS.